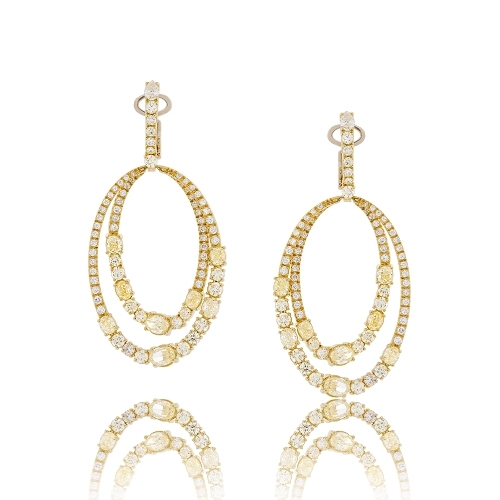 Italian designer Hasbani oval open swinging earring with prong set brilliant fancy yellow and white diamonds mounted in 18k yellow gold. Diamonds approx. 7.74. Earrings 2"